Siblings by birth. Business partners by choice. By design sibs already have an established relationship, but does family connection translate to successful commercial pursuits? What’s it like when sisters and brothers decide to capitalize on their relationship? 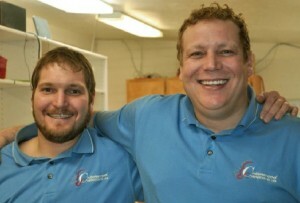 Brandon and Seth Farley operate Cottonwood Ortho Labs. Brothers in business once resolved disputes in fisticuffs, now they are good pals. Vicki PoVey knows. 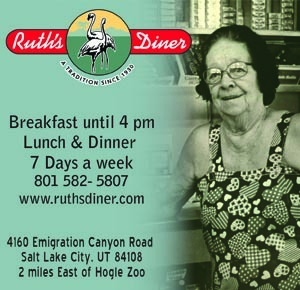 She and her sisters have been running Four Sisters Furniture in Riverdale for over 20 years. The sisters took over the unfinished furniture retail business when the former owners were retiring. Vicki and her sisters, Christal Holley and Shelly Evans, have shaped the business so that each sister has been able to sustain a livelihood while also tending to additional responsibilities and aspirations. Christal worked at Four Sisters while attending nursing school. In time, Shelly and Vicki bought the business and now Vicki manages the full spectrum of the operation. Four sisters is unique in that most mothers who have a lot of kids have to choose between family and career, their business served a multiple functions as both a day-care and a means of income. While conducting the interview Vicki’s daughter-in-law stopped by with two grandchildren. The kids played with toys while Vicki tended to customers. Nothing felt unusual or unnatural about the blending of family and business. The seed of a business partnership for Seth and Brandon Farley was planted on a two-week road trip. 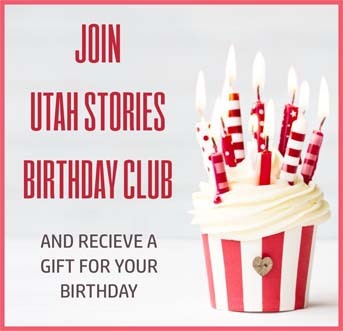 “We had a 12-hour drive at the end of the trip and we ended up talking about plans,” Seth remembers, “but then I went back to Colorado and forgot about it.” When Seth relocated to Utah he and Brandon, who had just returned from college in Virginia, moved in together. While on the East Coast, Brandon had worked for a doctor who taught him how to construct orthodontic dental appliances. In 2004 Brandon sowed his own entrepreneurial idea and started Cottonwood Orthodontic Lab in the finished basement of their house. “I remember waking up at four in the morning ‘cause my room was right next to where he was working. All he was thinking about,” Seth quips, “was making retainers.” The business quickly grew into a larger lab space. “I thought I could do it all myself,” Brandon recalls. “And I was looking for a job,” remembers Seth. In 2008 the brothers decided to profit from their circumstances. 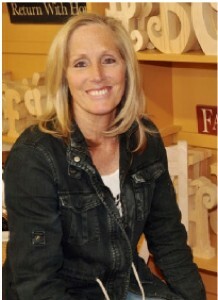 Vicki PoVey is one of three sisters who owns and operates Four Sisters Furniture. The most meaningful benefits the brothers attribute to their sibling partnership are honesty and communication. “There’s so much that’s unknown in sharing a business, but Brandon’s not one of the unknowns,” Seth asserts. “You can always trust your brother, like he can be in charge of all the money and I never worry.” Their kinship bond also allows them to express honest emotions, which nurtures healthy communication.